The item is currently not in stock. We will notify you when the item is available for shipping. If the item will not be available for some time, we will notify you of that so you can cancel your order if you desire. regular shipping Regular shipping rates apply to products with this icon. This means that the product fits into a normal shipping box and is within the dimensional and weight guidelines set out by Canada Post. 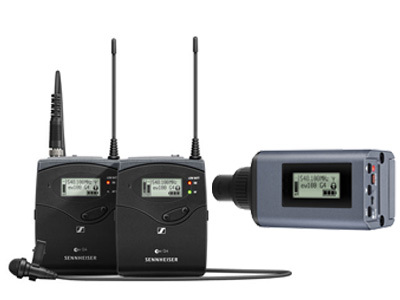 The Sennheiser ew 100 ENG G4 Wireless Microphone Combo System is the latest addition to Sennheiser's evolution family of wireless microphones and it is fully compatible with all previous series. This package includes the EK 100 G4 camera-mount receiver, SK 100 G4 bodypack transmitter with ME 2-II lavalier, and the SKP 100 G4 plug-on transmitter. 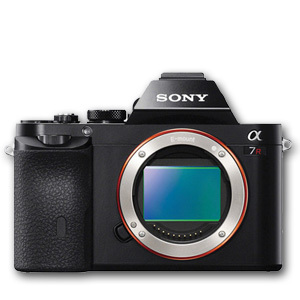 Accessories include a CA 2 camera mount, 1/8" to 1/8" cable, and a 1/8" to XLR cable. It can be used to capture audio for live sound, broadcast and film, business, and educational applications. The wireless microphone system features 1680 tunable frequencies, 20 frequency banks, and 12 frequency presets per bank. The EK 100 G4 receiver is made of a durable metal enclosure and equipped with an updated high-contrast LCD and OLED display, a blue sync LED, and a dedicated escape button. Built with a 1/8" unbalanced TRS mini output for quick connection to camcorders, the receiver features 4-preset memory locations, that can be reassigned to any of the 1680 available frequencies, within the 42 MHz tuning range. Additionally, the SK 100 G4 bodypack transmitter features an identically designed enclosure as the receiver. It is built with a high-contrast LCD and OLED display, and 12 preset memory locations, which can be reassigned to any of the available 1680 frequencies. The SK 100 G4 transmitter provides a 1/8" locking mini input jack for compatible lavalier microphones. In addition, the ME 2-II omnidirectional lavalier microphone features a sensitivity and frequency response suitable for capturing audio in the most demanding environments. Finally, the SKP 100 G4 plug-on transmitter allows any standard dynamic microphone with a 3-pin XLR connection to be used wirelessly. This transmitter utilizes the same frequency band as the bodypack and is powered by 2 x AA batteries or optional Sennheiser BA2015 accupack.